With Apple set to roll out the next major software update for the iPhone, and with it official support for third-party applications, it will come as no surprise that Google is busy prepping some new wares. 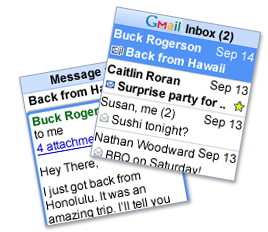 “We expect to have applications at Day One”, Google’s vice president of engineering, Vic Gundotra, tells Macworld. 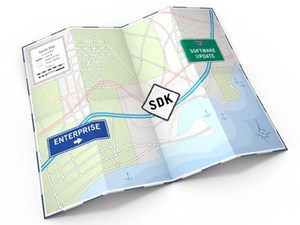 Even before the publicly available Software Development Kit (SDK) announced in March, Google had partnered with Apple to produce two of the iPhone’s flagship applications: Google Maps and a native YouTube client. So what can we expect next from Google? While Gundotra didn’t give many clues, he did say that the company is eager to take advantage of native access to Apple’s device. Google already has iPhone/iPod touch optimized versions of its Web-based apps that run in Apple’s Safari Mobile Web browser — Gmail, Calendar, Reader, and others — so might we see native versions of those sames apps coming to the iPhone? Top of my list would be a dedicated Gmail client, similar to the Java version that Google already offers for other mobile phones including Blackberries. However, more ambitious would be a mobile client for Google Docs enabling spreadsheets and other text-based documents to be created and edited on the go. Another possibility might be a native client for Google-owned Blogger, along with support for the company’s photo-sharing site Picasa. At the same time, however, Google remains committed to browser-based mobile apps, with Gundotra giving Apple credit for developing the best Mobile Web browser currently on the market. “Google has many web-based applications we would like to be available in mobile form, but we have two challenges,” Gundotra said. “The mobile platform is not as technology capable as the desktop. And the mobile platform is unbelievably fragmented.” Gundotra believes that other handset makers will build WebKit-based browsers (the same codebase that Apple uses for Safari Mobile), leading to better industry standards. Both Nokia and Google’s own Android have also adopted WebKit. Ironically, Google could soon find itself as the iPhone’s largest independent software vendor, while at the same time becoming its biggest competitor through the launch of the company’s own mobile platform. While browser-based versions of Google’s Web applications will run via both Android and the iPhone’s Web browser with little or no modifications (since both use WebKit), native apps for either platform aren’t compatible. In many instances Google may pick and choose which of its services to build native iPhone clients for, and which should remain browser-based or exclusively native for Android devices. As an example, the pre-release version of Google Maps for Android already has features missing from the iPhone version. Google prepping more iPhone-native apps. This is really interesting information for me. Thanks for sharing! Great post and Apple has robust software for their phones and laptops.